We know from the recent scandals about the poor care received by our veterans that the Department of Veterans Affairs is a poorly administered mess. Now the VA may be helping to illustrate a deeper problem with our federal bureaucracy — the lack of accountability on the part of federal employees, and the inability to mete out disciplinary action that is a standard part of most regular, non-governmental jobs. The VA story is about two administrators who were accused of manipulating the agency’s hiring processes. The VA’s acting inspector general concluded that the two officials forced lower-ranking managers to accept job transfers and then took the vacant positions themselves, keeping their pay while reducing their responsibilities. One was accused of using the reassignment to obtain nearly $130,000 through a lucrative government relocation stipend program, while the government paid $274,000 to relocate the other from her position in Washington, D.C. to the job in Philadelphia. The VA demoted the two — rather than firing them outright — but the officials appealed the demotions under the federal government’s civil service system. In both cases, administrative law judges with the Merit Systems Protection Board ruled for the officials, finding that they had not tried to hide their actions from their own supervisors, who had done nothing to stop the actions, and that other VA officials had engaged in similar conduct without being disciplined at all. In short, the VA is so poorly managed — or so removed from the pressures of normal jobs — that officials looked the other way when employees gamed the system, and the failure to act or discipline those other employees sets a precedent that protects employees who engage in later, similar misconduct. It’s a topsy-turvy world that would never be tolerated in a normal business. The American civil service system was developed in the years after the Civil War to try to shield government jobs and career employees from cronyism and politicization when new Presidents were elected or new Congresses took office. It was a good idea, but the system has become calcified, and in many instances now serves to protect employees from being held appropriately accountable for their actions. The VA’s example tells us it’s time to take a fresh look at the civil service system. For years the Centers for Disease Control and Prevention was one federal agency that seemed to be a model of governmental efficiency and capability. Like NASA in the glory days of the Mercury, Gemini, and Apollo programs, the CDC was a little agency with an important mission and dedicated employees who helped to guide the national responses to epidemics and infectious diseases. That’s why the recent stories about some appalling security lapses at the CDC are so troubling. In one instance, poor handling of anthrax — a disease that the CDC’s own website cautions can cause serious illness and death — potentially exposed a number of employees to the bacteria. 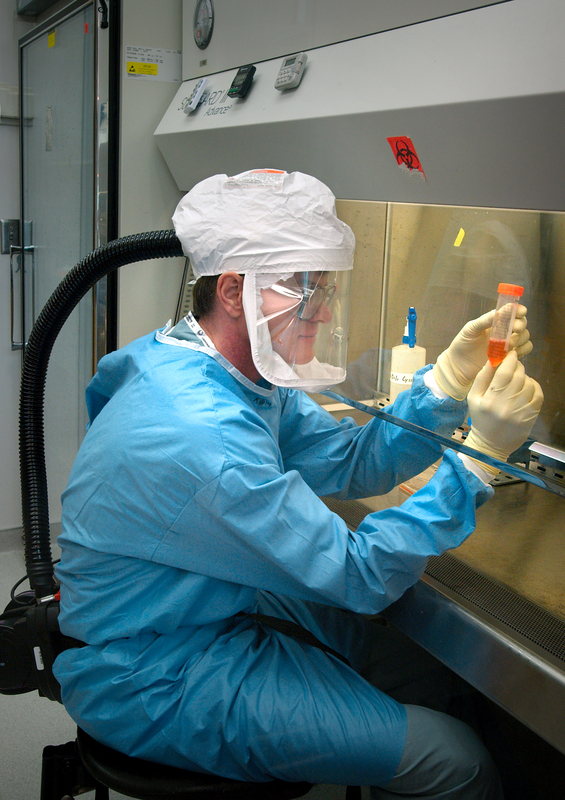 In another incident, CDC employees improperly shipped a deadly strain of bird flu to a Department of Agriculture poultry research lab. The breakdowns are especially disturbing because the CDC also is supposed to ensure that other laboratories follow federal safety standards. The CDC is investigating these breaches and developing new procedures to address the “potential for hubris” in an agency that may have grown too comfortable with working with dangerous spores, bacteria, and infectious agents. Given the CDC’s public health mission, any security breakdown that could expose people to a deadly infectious disease could be catastrophic. But the CDC’s problems seem to be symptomatic of a larger, equally concerning issue: a broad-scale series of failures in federal agencies. In the past year, we have witnessed a colossal failure in an attempt by the Department of Health and Human Services to build a functioning health insurance exchange website, mass failures by the Veterans Administration to provide adequate care for veterans, a stunning security breach that allowed Edward Snowden to spirit away enormous amounts of highly classified data, and a southern border so porous that thousands of unaccompanied minors have been able to cross into our country. And those are just a few of the stories. For years, there has been a divide in this country between those who want the government to assume a more significant role in regulating our affairs and those who resist that approach because they believe a larger government role means less freedom and fewer individual liberties. The recent dismal performance of our federal agencies suggests that a new factor should enter into the equation: is the federal government even competent to do what we are asking it to do? In view of the many recent breakdowns in governmental performance, that is a very fair question. Yesterday I heard someone describe a person as needing to put on a tinfoil hat. It was supposed to be a funny put-down — but it really wasn’t very funny to me. In 1981, when I was fresh out of college and working for U.S. Rep. Chalmers P. Wylie in Washington, D.C. as a legislative aide, one of my jobs was to stay late on weeknights and prepare responses to constituent correspondence. Mr. Wylie took his job seriously, and he believed that every constituent who took the time to write a letter deserved a thoughtful response. We would spend hours going through every letter, talking about the response and whether there was something we could do to help. One of our regular correspondents was a man who, literally, wore a tinfoil hat. He was a veteran who was convinced that the U.S. government was broadcasting brain waves at him, and he wore a tinfoil hat because he thought it helped. He wrote letters to try to get Mr. Wylie’s help in stopping the brain wave broadcasts. I chuckled at his first letter, but they kept coming, usually several a week, and it stopped being funny. I was worried about what the man might do, but Mr. Wylie said he had been receiving letters from the man for years and he was harmless. From information in his letters, we learned that the man had been treated at VA hospitals and was an intermittent participant in mental health programs but was suspicious of them, too. Every week, this poor, tormented man took the time to write a few long letters beseeching us to help him. Every week we reassured him that there was no evil government program and urged him to please go see a doctor and get medical help. I felt sorry for him, but there was nothing more we could do . . . and the pleading letters kept coming. In a world where “scandals” often seem to be invented and overhyped, the recent news about the medical care provided to veterans by the Veterans Administration actually qualifies for the name. It’s an embarrassment, and an outrage. The issue has to do with the quality and timeliness of health care. In a number of VA facilities across the country, there have been reports that veterans face long delays to receive care — and VA employees are acting to hide the truth or falsify statistics so the wait times don’t look so long. The most notorious news came from Phoenix, where CNN reported on allegations that veterans died waiting to receive care, that a VA facility maintained a secret waiting list, and that VA personnel were trying to cover up the fact that more than 1,000 sick veterans were required to wait for months to receive treatment. Those allegations are now being investigated by the VA and by Congress. The world being what it is, many people focus on the politics of this scandal and its potential impact on the upcoming elections. Those inevitable stories, however, are part of the problem. They reflect our apparent, growing inability to respond to these stories as human beings as opposed to hyper-political partisans caught in the endless spin cycle. So here’s a reminder of the reality. People become veterans by serving their country in the military, risking their lives and health to keep us safe, perform essential services, and fight our wars. We owe them our gratitude, but we owe them more than lip service — we also have to keep our word to provide them with excellent medical care. If veterans are waiting for months while they move slowly up a waiting list to see a doctor, we obviously aren’t meeting that sacred obligation, and we should be embarrassed as a nation. As is so often the case, the bureaucratic reaction is just as deeply disturbing as the underlying reality. Rather than doing something that might actually help the men and women they are supposed to serve, employees at the VA facilities thought about making themselves look good — which is how they came up with the coverup schemes and secret lists in the first place. Their CYA attitude is infuriating, but by now we shouldn’t be surprised, because it seems to be the default reaction of bureaucrats everywhere. One VA official has resigned, but veterans groups say that doesn’t mean much because he was supposed to retire this year, anyway. The Secretary of the VA, Eric Shinseki, says he’s “mad as hell” about the scandal and is on a mission to get to the bottom of the problem. But Shinseki has been the head of the VA for years, since the beginning of the Obama Administration. What’s he been doing about the wait time issues during that time? Why should we have confidence that he’s up to the task of changing the bureaucratic culture of an agency that may well have lost sight of its true mission? I’m hoping that this scandal doesn’t just fade from the front pages, as so many scandals do. I’m hoping that — for once — the Administration stops spinning, our elected representatives stop bloviating, and we collectively get to the facts and take action to fix the problems at the VA. We owe our veterans that much, and so much more.